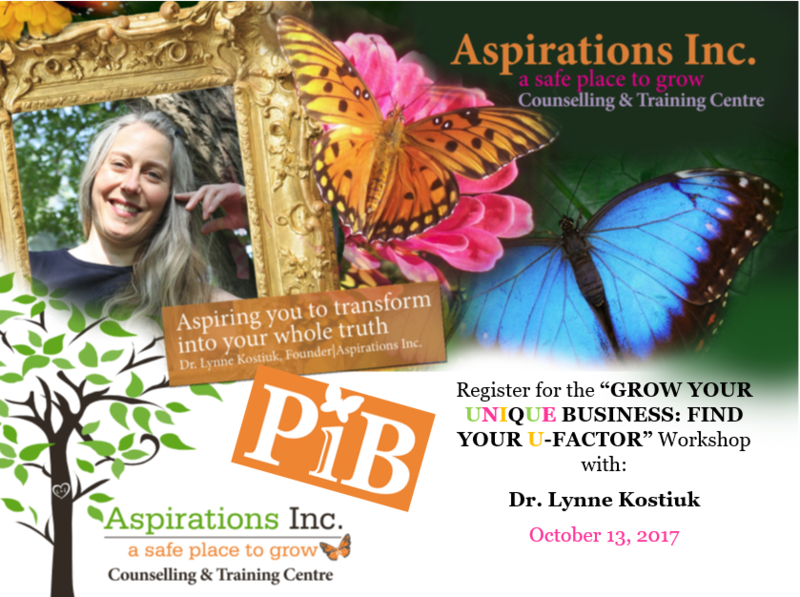 This workshop will assist business owners in developing and learning the skills it takes to grow your own Unique Business with Dr. Lynne Kostiuk and find your U-Factor! Individuals will leave the workshop with a clearly defined U-Factor that they can implement into their business. They will also have developed the skills and knowledge to create more abundance within their business and devise a business structure from the ground up. A Non-refundable registration fee of $35.00 is required.